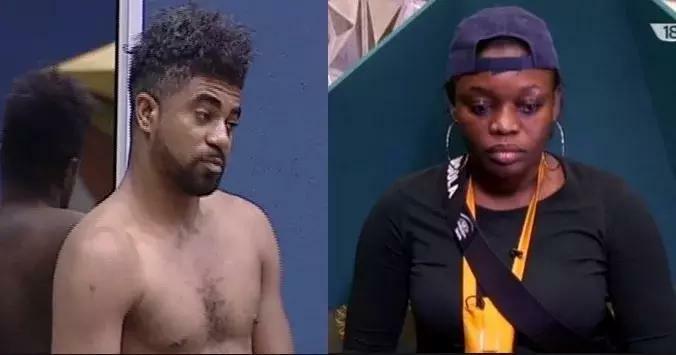 One of the house mates on Big Brother Naija television reality show, Bisola, has said she desired a “romantically oriented” task with her fellow housemate, ThinTallTony, TTT. She made the disclosure during her diary session with owner of the BBNaija house, Biggie, on Tuesday. Explaining her reason for picking TTT, Bisola said he knows how to tolerate her excesses. “I can be little over bearing sometimes; I can’t play with other housemates the way I play with Tony; with Tony I can have fun,” she said. On Kemen’s disqualification, Bisola said BBNaija took the right step by disqualifying him, stressing that what he did was wrong. She said, “I said some unprintable worlds about her, but when she called me aside and told me what went down, I was like yooo! “But on what he did, even if Tboss didn’t say anything or didn’t know what happened, as long as Big Brother saw it, it was enough for Big Brother to have disqualified him.